Spread the news around your community! 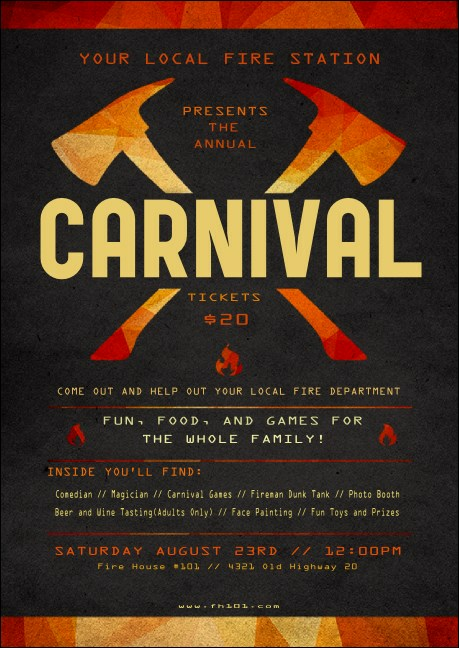 Hand out the Fire Department Club Flyer to promote your upcoming event. Club flyers come in a small size, but they fit all the details you need for your event. This blazing design template includes two axes and bright orange and yellow flames. Pack a big message in a small space with the right club flyer from TicketPrinting.com.